An accident at Tiavi last Friday where a speeding bus flipped landing on its crushed roof has claimed one life. Of more than 50 passengers admitted to the hospital, Va’a Opetai, of Siumu, died on Sunday night from injuries he received during the crash. 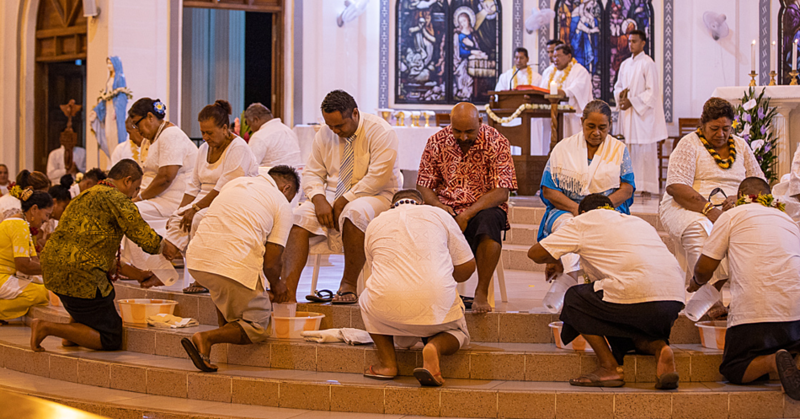 His death was confirmed by his mother, Gau’ula Opetai. 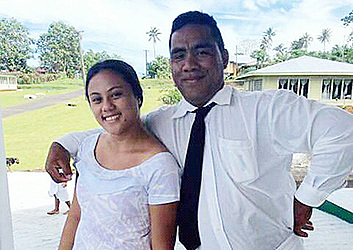 Speaking to the Samoa Observer yesterday, Mrs. Opetai said before her son passed away, he had one last wish. He wanted her to send his regards to all the victims of the crash and their families. “He said to me to tell them that he is taking all their pain with him,” Mrs. Opetai said in tears. “Those were his last words to me before he died. 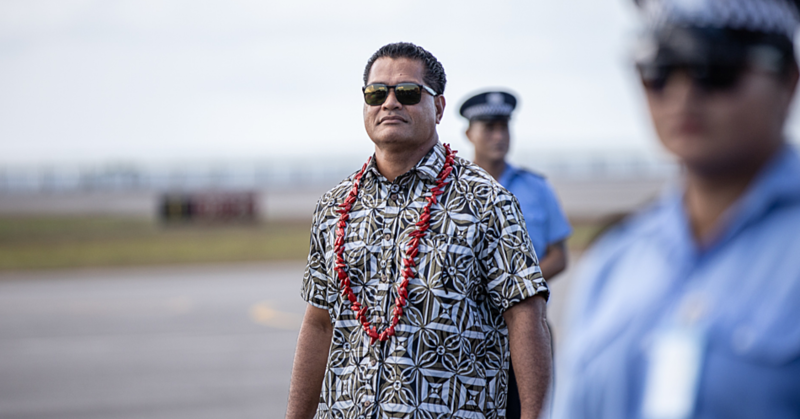 Va’a is the third son of nine siblings of Gau’ula and Le’ea Opetai of Siumu. The man lives and works in Apia during the weekdays. He only goes home during the weekends. He was making that trip when the bus crashed. 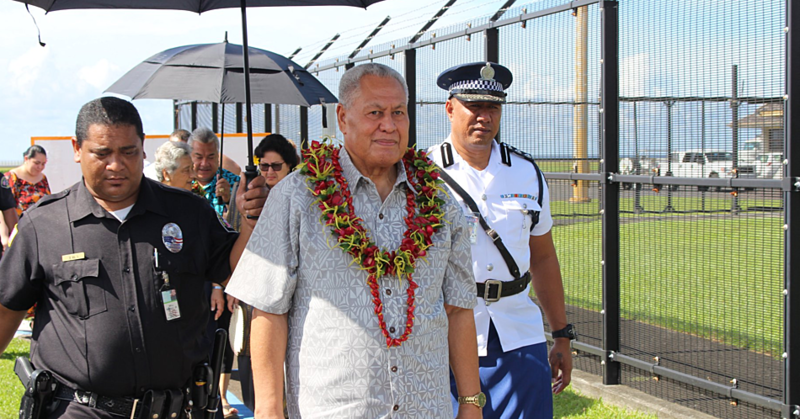 His mother said Va’a was a loving person who was always close to their Pastor, Reverend Tuia Peseta and his children. Asked how she felt about what happened, Mrs. Opetai said she doesn’t want to think about it. She recalled that day at around 5pm when another woman of the village whose son was also involved in the accident rang and told her. “I was doing my usual chores that evening when I received the news that the bus crashed at Tiavi and my son is at the hospital,” said Mrs. Opetai. Mrs. Opetai said when they got to the crash site, most of the passengers had been taken to the hospital. “I never thought he was in a critical condition because he could still talk. I thought his injuries were not that bad." Mr. Opetai’s younger sister, Lafo Opetai said she suspects that her brother was bleeding internally. “When they lifted him, I saw blood where his head was,” said Ms Opetai. Ms. Opetai said Va’a is someone who always gives, whenever someone asks for anything. Funeral plans are being finalized.